“Coaching Lean" - This class will teach Lean Leaders how to coach their enterprise’s leadership teams in a transformational way in an effort to build a learning organization. Students will walk away with the knowledge and real world examples of how Lean Leaders can coach, mentor and influence their enterprise’s leadership teams. Topics Covered: Hoshin Planning, Gemba Walks, One Page Maps, Long Term Vision Planning, Daily Employee Engagement, Leaders Standard Work. Target Audience: Lean Leaders who are looking to move their leadership teams into a deeper level of Lean thinking. For the past 8 years, Dave Kippen has served as a Lean leader, coach and educational instructor. He currently works at Milsco Manufacturing in Jackson, MI. Dave’s passion is to aid in the development of leadership and growth throughout all levels of the organization. During this time, Dave has successfully coached more than 250 people through Lean 101 classes, 20 Leaders through Lean 201 classes and facilitated well over 100 Kaizen events throughout the United States and Europe. In addition, Dave is Bronze certified through the SME/AME/Shingo Prize/ASQ Partnership. For more information, please connect with him via his LinkedIn profile or at davekippen@yahoo.com. Dennis M. Sergent has led more than 100 change programs over 20 years with a singular focus on customers, communications and teamwork. As the founder and principal of Sergent Results Group in Plymouth, Michigan he helps people and the organizations they work in get better at everything they do. Sergent works inside and outside of corporations, from Fortune 50 boardrooms to small start-ups. Dennis has led dozens of operations organizations and technology deployments, service improvement programs, cost improvement initiatives and organizational transformations. All of them have been successful and delivered the promised value on time, on budget and on scope, with over $8 Billion in results for his clients. He is a certified Lean Green Belt and has black belt results. 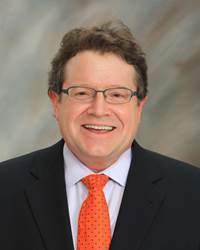 In addition, he has led various community and service organizations, customer advocate and economic development teams. He is a public speaker with insight on subjects such as leadership, customer service, value, teamwork, quality systems, innovation, integration, project management, systems thinking, operations excellence and organizational performance. Click here to view the reimbursement policy for all events.